At Retail: And of course, once an album is for sale online and in stores, all bets are off. 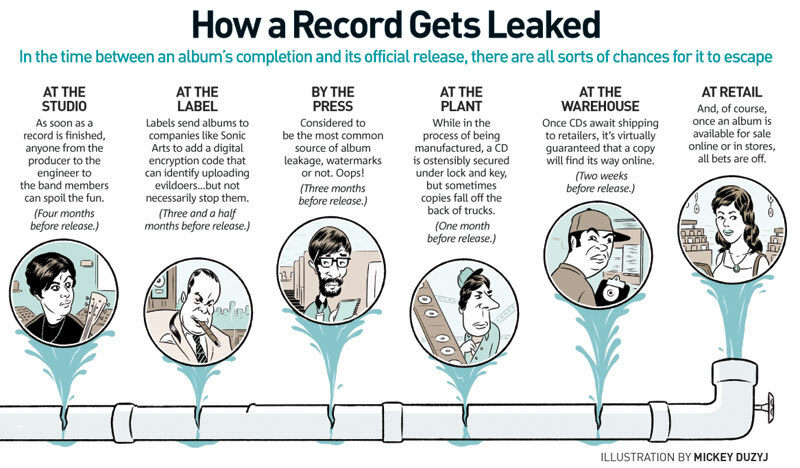 Wow this is an amazing photo to show how music gets leaked. I have always blame who ever get the actual audio first. And I firmly believe that Labels do leaks tracks to create buzz.